Chakra Beads are specific gemstones that work together in order to cleanse, open, and balance your chakra system. Sometimes energy gets stagnant due to our busy lives. Without proper energy flow, we are far more susceptible to illness and disease. Chakra beads bring balance to your system as a whole. Our Chakra System is made of seven energy centers located along the spine and ending in the brain. These chakras have a function which directly effects psychological, physical, energetic and spiritual well-being. 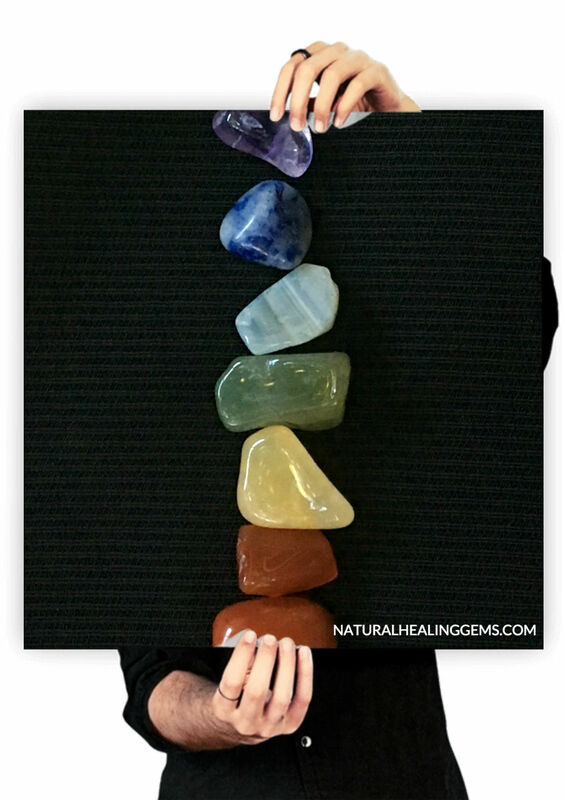 Each Chakra has a particular color and vibrational frequency, which coincides with the appropriate healing gemstones. Crown Chakra: The crown chakra is represented by the color violet. This chakra symbolizes enlightenment, unity, guidance, and knowledge. Third Eye Chakra: The third eye chakra is represented by the color indigo. This chakra symbolizes perception, wisdom, and intuition. Throat Chakra: The throat chakra is represented by the color blue. This chakra symbolizes expression, communication, truth, and will power. Heart Chakra: The heart chakra is represented by the color green. This chakra symbolizes the right to love and be loved, self esteem, and compassion. Solar Plexus Chakra: The solar plexus chakra is represented by the color yellow. This chakra symbolizes action, creativity, acceptance, and freedom. Sacral Chakra: The sacral chakra is represented by the color orange. This chakra symbolizes feelings, security, and the ability to become intimate. Root Chakra: The root chakra is represented by the color red. This chakra symbolizes purpose, connection, and the right to be and have.